Jennifer Lee is my daughter’s hero. Is that too bold of a statement to say? SORRY! I just had to write it because this woman has not only made her mark with Wrinkle in Time, but she is the voice behind Frozen the Musical as well! Two POWERHOUSE Disney stories. 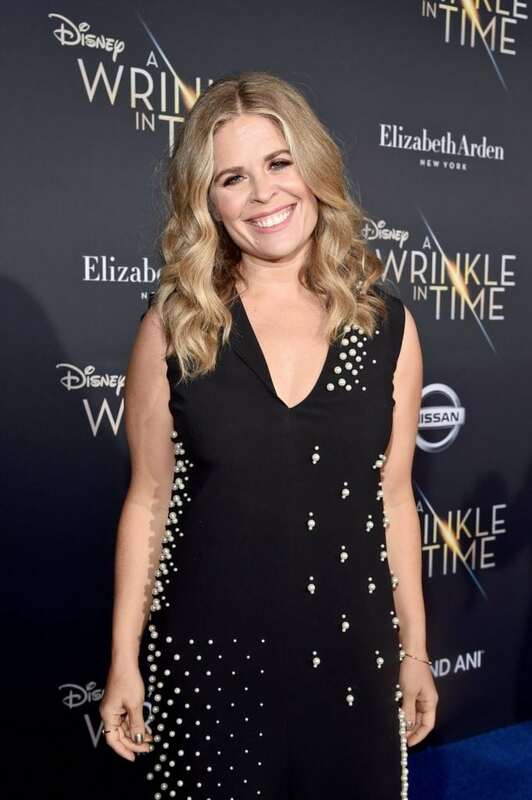 As a creator, we wanted to know how Jennifer Lee approached writing the screenplay for Wrinkle in Time. This is a book that is well loved and has been well received for many years. She wasn’t starting from scratch. There was a fanbase that she had to appease. So naturally, it took Jennifer longer than expected. In fact, it took FOUR YEARS to write the screenplay for Wrinkle in Time. It took four years, if that answers the question. It was a challenge. When I heard they were looking for a writer, I was like, “Oh oh oh!” ‘ because I had loved it as a kid. My daughter was actually reading it in the 5th grade. So, I was reading it again with her and I just –I kept saying, “I have a whole take on it.” I wanted to try it. What I loved is that Disney really responded to acknowledging that. I wasn’t trying to do the book, adapting it for the film, it was very much clear that I didn’t want to try to be the book because if we tried to be the book we’d fail. However, showing our love for the book, showing sort of how much inspiration there is in the book, and how strong the journey is in the book – I could stay true to that. 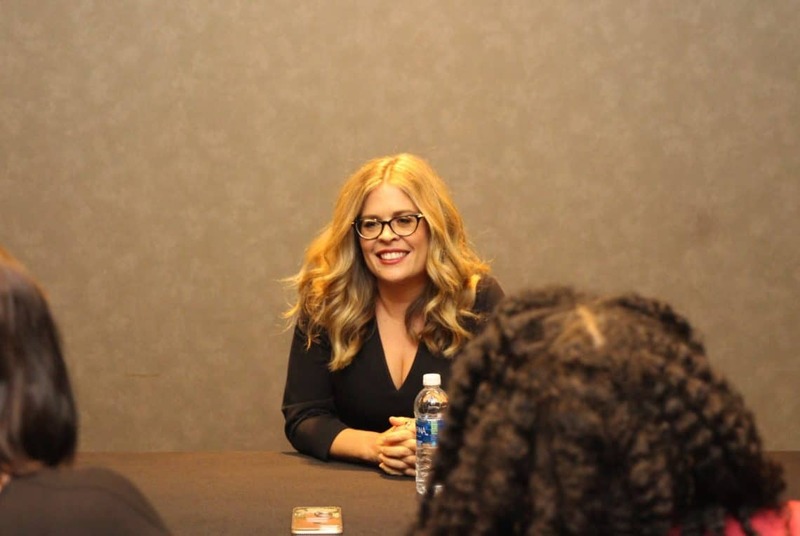 Jennifer Lee even gave us a peek at her writing process! Are you a writer? Working on a novel? Do you have a screenplay up your sleeve and you don’t know where to start? Well, Jennifer Lee knows what works for her and she was kind enough to lay it all out for the group. I was especially curious to hear how and when she writes because once I am all done with the blogging world, I’m going to open up a store in my town. Then once I am done with the store, I’m going to write novels for the rest of my life. Yes, that is my life plan. Yes, I know it already. No, I’m not kidding. I have two more versions of myself waiting inside of me. 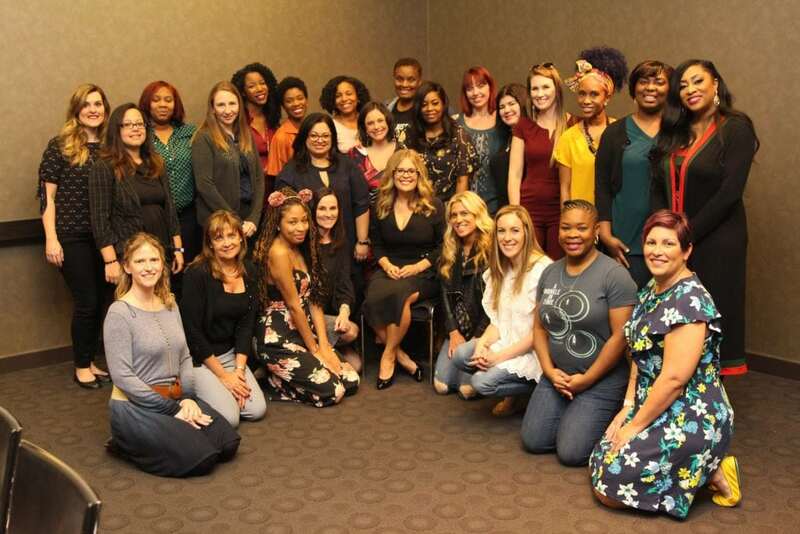 Naturally, we had to ask Jennifer Lee what her favorite line from the original Wrinkle in Time book was and whether or not it made it into the movie. I teared up immediately the first time I heard this quote. I wanted to tattoo it on my body as soon as the screening ended. It summed up all that I am. Oh, yes. Wild nights are my glory. I give you your flaws. There are so many. Like when Mrs. Which says to Meg at one point, “Do you know all of the events that had to occur in the universe to create you exactly as you are?” And I was like, oh, that’s not in the book, that’s just what the book gave me. Can we just stop here for a minute? That’s what the book gave me? Do you want to sit on the floor and sob like I do? Wasn’t that the most beautiful and raw sentiment ever? The book gave her these gifts, these gems. The book gave her these joys that she then shared with the world. It’s a very humbled outlook on life and I find that the most successful people live lives that are filled with grace, kindness, humbleness, and gratitude. I was so thankful to hear that one line from Jennifer because she recognized that she was part of a bigger story. A huge part if you ask me – but a part nevertheless. With so many huge wins under her belt, she could have a very different attitude, but she simply doesn’t. Did Jennifer Lee always know she wanted to be a writer? Sort of. I was a visual thinker, but I was 30 when I went to film school. I’d had a whole decade in book publishing. So for me, I came to it late. But it was certainly the signs of saying, Oh, I was drawing as a kid but if I look back, I was drawing stories. I wasn’t just drawing. I was more like comic book stuff. It was never something that anyone told me I could do. I think kids are able to find those things better now. Hopefully. We had to ask about Frozen on Broadway! Jennifer wrote that entire show as well! AHHH! I cannot wait to see that play with my daughter. It might take a year, but I will get there. We asked how different it was to write for Broadway compared to the big screen. With animation, you have complete control. You want to go from a helicopter shot to a close-up? You want to splice one take together versus another? No problem. But then you go to live action and everything’s reinterpreted every day when those actors get on set. It affects where you go. But then you get to Broadway and everyone, the actors own it and they’re live. And that’s it, you surrender. So it was a great way to sorta ease me into that. Storytelling is storytelling. And everything comes from the character, from the emotion. It doesn’t matter how fantastical the world or whether it’s just a tiny set. It all comes back to the intimacy of those characters. And in fact, Disney didn’t put FROZEN on Broadway in a giant theater, into the biggest theater – like LION KING, you know. It’s in the St. James. And it’s that way because you need that intimate connection, you need to keep it with the girls because that’s the foundation. So kudos to them because they didn’t have to do that. 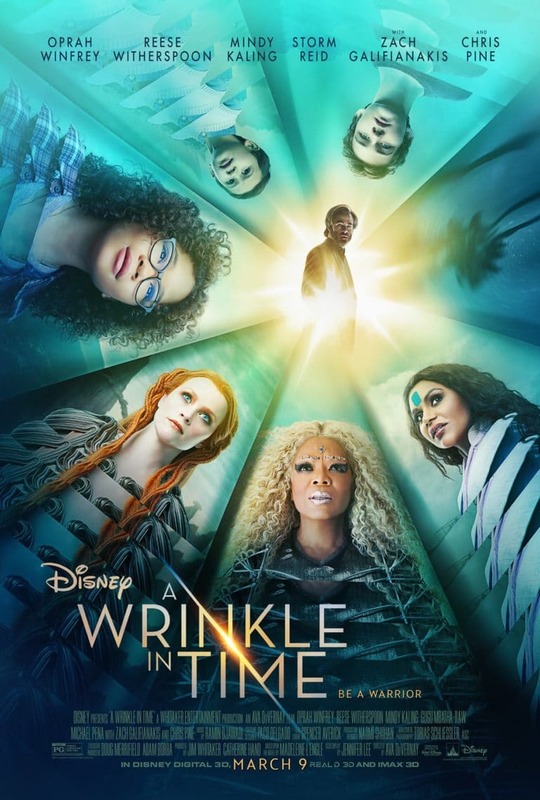 Be sure to head to the theatre this week to see Wrinkle in Time! If you’d like to read my review, check it out here. ** Disney invited me to attend the LA premiere of A Wrinkle in Time. Travel and accommodations were provided. All opinions are my own.